The Florida state tree is the Sabal Palm. 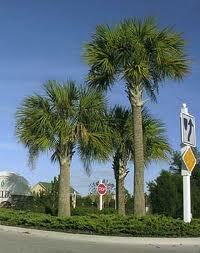 The sabal palm is the most widely distributed palm in Florida. It grows in almost any soil and has many uses, including food, medicine, and landscaping. The 1953 Florida legislature designated the sabal palm as the state tree, and the 1970 legislature mandated that the sabal palm should replace the cocoa palm on the state seal.